Surrounded by the magnificence of nature's beauty, this private one of a kind property consists of a custom built main home; detached garages/workshop and barn; terraced gardens; 2 ponds and creek; horse arena; fenced pastures and so much more on 4 parcels totaling 39.9 acres. 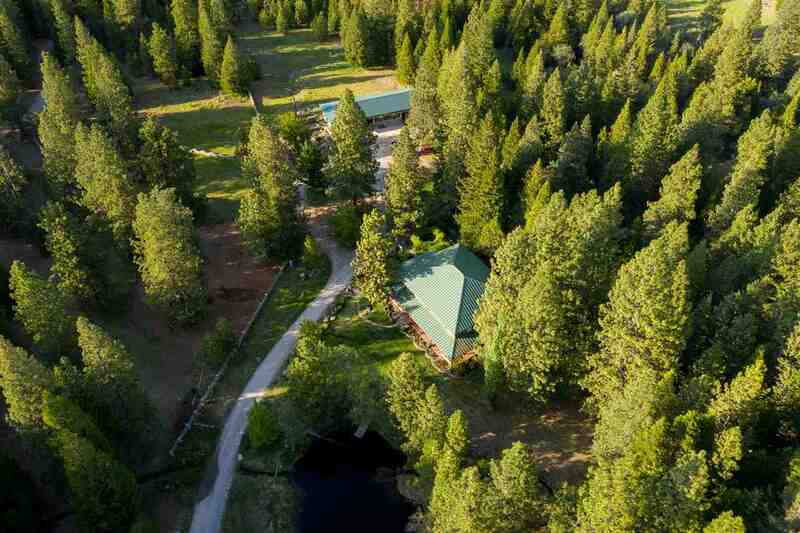 Seemingly miles away from everything, this property is just 3 miles from College of the Siskiyous and 10 miles from Mt. Shasta. The 2 story main home with wood decks and covered porch features 3 bedrooms; 2.5 baths; a large library that could easily be converted to another bedroom/office/studio; beamed ceilings and large cathedral windows in the living room that showcase the magnificent outdoors. Custom cabinets and granite counter tops in the kitchen; wood burning stove as well as forced air heat and cooling; gorgeous fireplace and mantle; Hunter Douglas blinds; and unique and beautiful craftsman details throughout. Tranquil settings of flower gardens surrounding the home are ideal for reflection and rejuvenation of the spirit. This is an enchanting sanctuary that you will love to call home. Your horses and pets will too! Schedule your private showing today.